Although it was a solid hit when first launched, the Ka no longer fits in with the Ford's global business model. If you don&apos;t live in Europe you may not be familiar with the Ford&apos;s small city car. First launched in 1996, the Ka became an immediate hit overseas due to its compact exterior dimensions but comfortable and (relatively) roomy interior. It was an ideal vehicle for European city streets. However, in a new report coming from Autocar, it appears that the Ka&apos;s end may be near. Ford&apos;s affable European design chief Martin Smith claims the car "produces absolutely no profit" and no longer fits in with the automaker&apos;s other models. With the automaker&apos;s "One Ford" global product strategy now in full swing and the Fiesta selling very well, the Ka - currently in its second generation - "won&apos;t pass a US crash test and it&apos;s only built in one place," according to Smith. 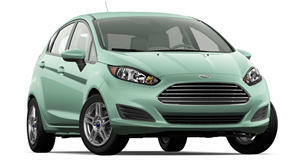 Newer models, such as the Fiesta and Focus, can be produced in several of Ford&apos;s production facilities throughout the world, making them much more cost-effective. Aside from an upcoming refresh, the Ka will likely be pushed permanently aside in favor of not just the Fiesta, but also the new EcoSport, which is basically the crossover version of the Fiesta. Buyers looking for something smaller, however, may have to look elsewhere.